f you simply can’t resist the natural beauty of real hardwood outdoor furniture, you’ll want to take a closer look at HAMAR. Constructed using traditional wood-working techniques, HAMAR is a superior table with elegant lines. It’s made from specially selected, FSC -certified Saligna, which is a type of highly durable hardwood. 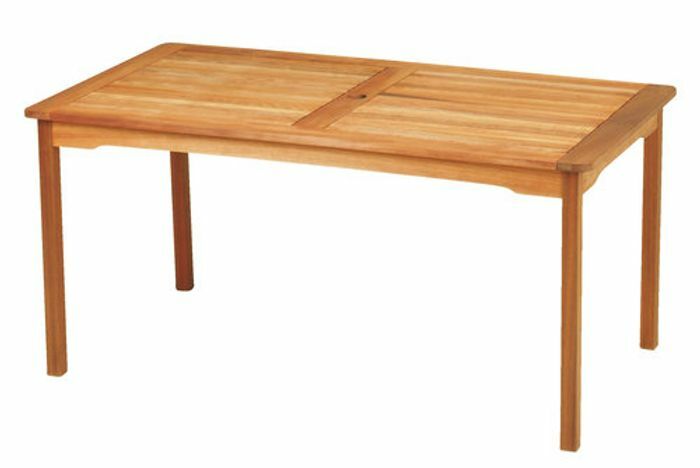 The table is delivered with a pre-applied Jutlandia hardwood oil finish; simply apply additional coats at regular intervals to prolong the life of the hardwood and help maintain an attractive sheen. HAMAR features traditional slatted construction and incorporates a central hole for a parasol. HAMAR hardwood chairs and benches are also available – all made to the same exacting standards and designed to provide years of service. What do you think of this Jysk deal?